Hosokawa-shi, a traditional hand-crafted paper ! 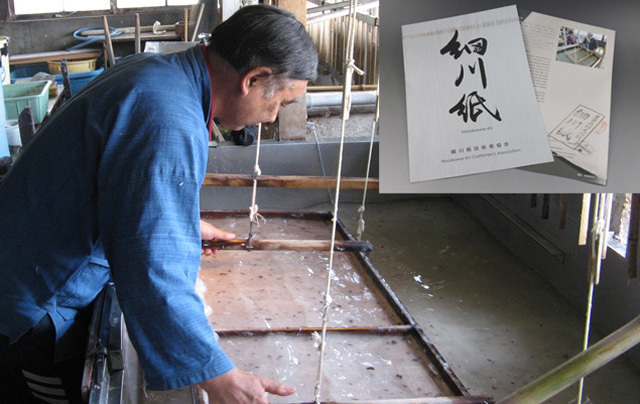 Hosokawa-shi, a traditional Japanese hand-made paper (washi), has been made at Ogawa Town in Saitama Prefecture. The Japanese government designated the technique of making Hosokawa-shi as an Important intangible Culture Asset in 1978. And in 2014, UNESCO listed hosokawa-shi to Human Intangible Cultural Heritage as “Washi, craftsmanship of traditional Japanese hand-crafted paper”.